The legend of the Himalayan 7 was growing to mythic proportions. Every time we stopped for gas or at a village restaurant, crowds would gather, children cowered in fear, we now were the Wild Ones, Shiva’s Slaves, rabble rousers on Royal Enfields roaring into town wreaking havoc or…just having lunch. Stopping at Yamdruk Tso Lake, a mysterious Chinese girl dressed in red approached me. She didn’t speak English nor I mandarin, but it was obvious she wanted a photo with one of the renowned Himalayan 7. The Red Chinese were now following us everywhere. The ride to Gyantse was picture perfect. Motorcycling the most majestic mountains in the world. The air was crisp and crystal clear; the smooth double-lane paved road was nestled in wide-eyed expanses surrounded by snow-capped mountains that cut straight to the sky. 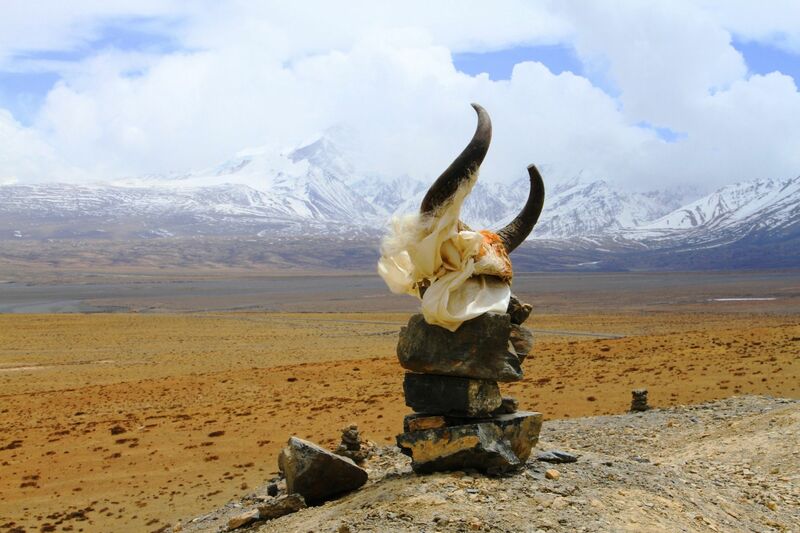 Majestic mountains stood directly before us at 25 thousand feet, as we rode through fields filled with herds of giant yaks, paused to let farmers cross their goats, and steeped in the history, mystery and beauty that is Tibet. 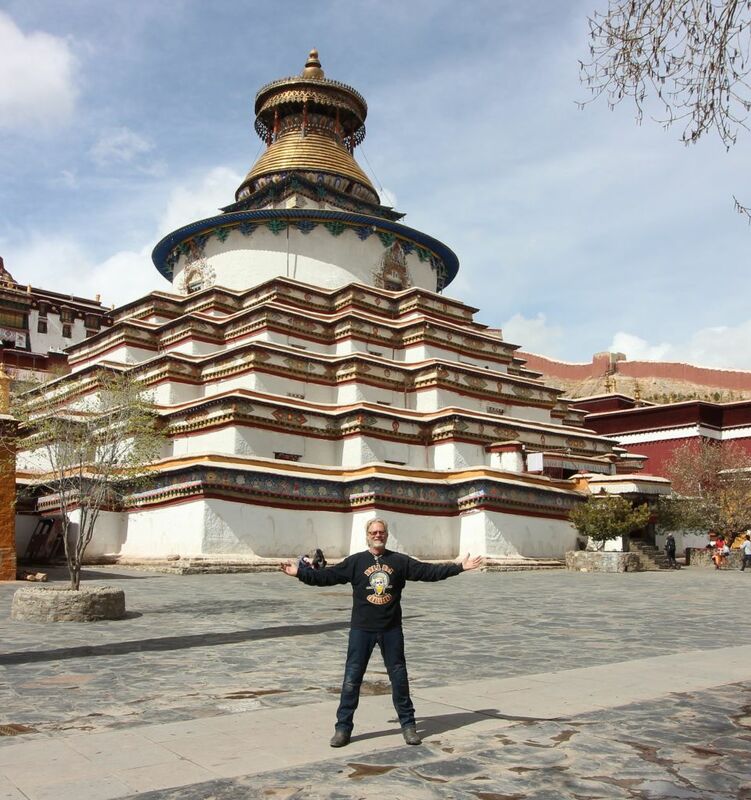 Gyantse Fortress (Dzong) is one of the best preserved dzongs in Tibet; it’s perched high above the town of Gyantse, on a huge spur of grey-brown rock. 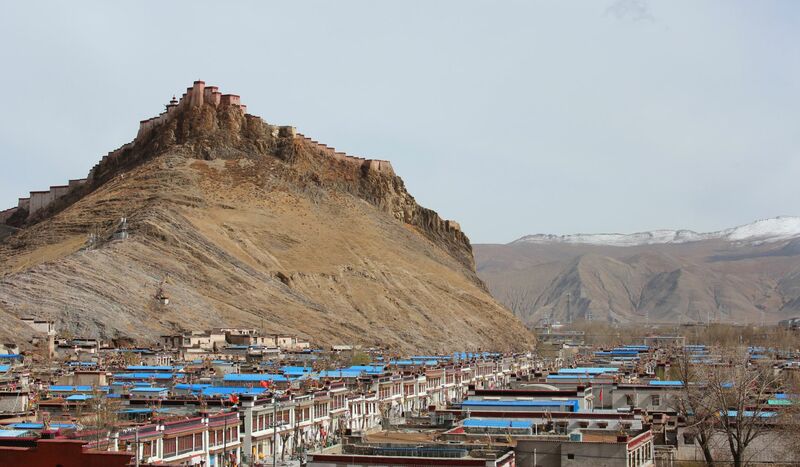 The fortress was constructed in 1390 and guarded the southern approaches to the Tsangpo Valley and Lhasa. The town is surrounded by a wall 1.9 miles long. Myriad Buddha Stupa, also called “Kumbum” is a must-see in Palcho Monastery. It is portrayed by a circle within a square to enable devotees to participate in the Buddhist perception of the universe. Built in 1418, this gold-topped, white building with nine tiers covering a space of 2,200 square meters, with a total of 108 gates and 77 chapels. Tourists enter the Kumbum and follow a clockwise route up, visiting each chapel on different floors up to the top and a spectacular view. 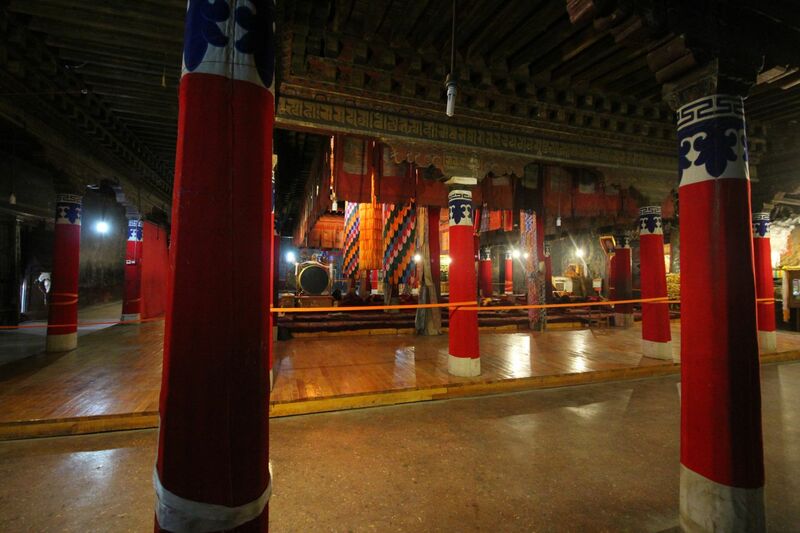 The Palcho Monastery has three floors with well-preserved murals and images from the fifteenth century. Our guide Ping Ping was close friends with the monks and although no photos are ever allowed inside, I was granted permission. I captured the assembly hall, photos of the giant gold gilded statue, Thangkas, and the burial Urn. I even tasted the barley wine made by the monks. 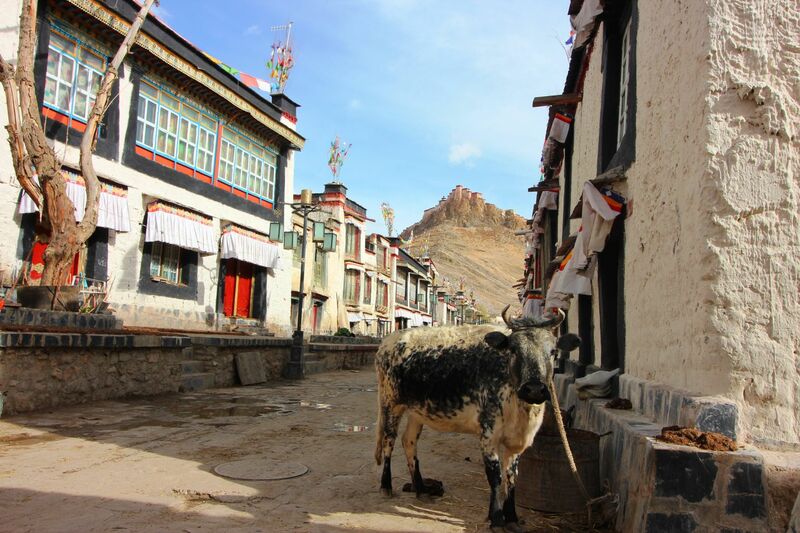 The old part of Gyantse is totally intact; it’s as if you were walking these dirt streets a thousand years ago.